Define app configuration parameters manually or with the handy Builder Tool. 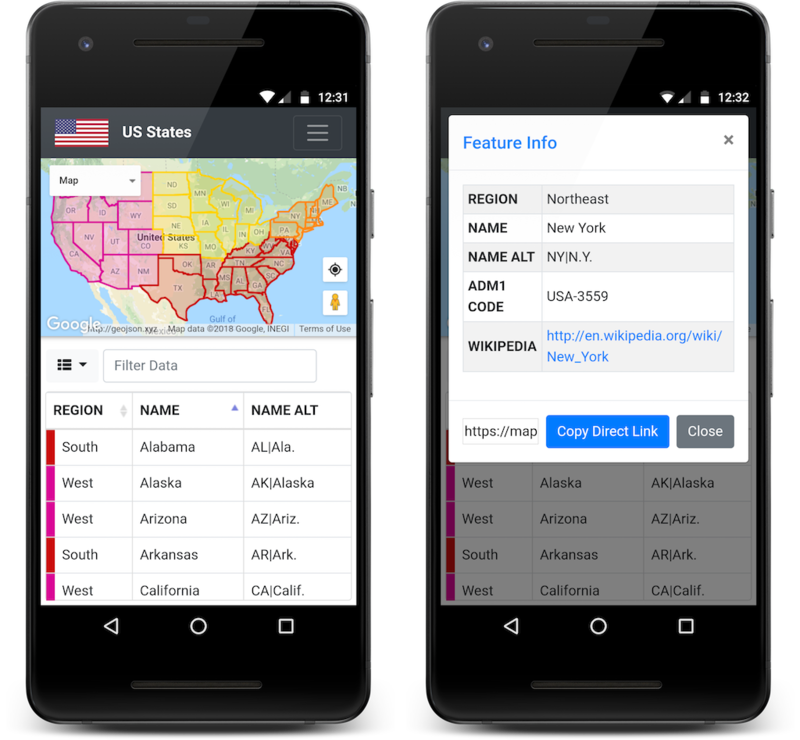 Data source can be any web accessible GeoJSON or CSV (with latitude & longitude columns) file. Generate a fullscreen mobile-friendly web app with responsive navbar, modal popups, and map/table/split views. Completely client-side, can be hosted for free on GitHub Pages. Set the app title, icon, display fields, filters, data attribution & styles for a custom experience. Built on the incredibly popular Bootstrap and Google Maps frameworks. Interactive feature table with filtering, sorting, and column toggling via Bootstrap Table. You can download or fork the code repository and host your own version. If you self-host, please use your own Google Maps API key.